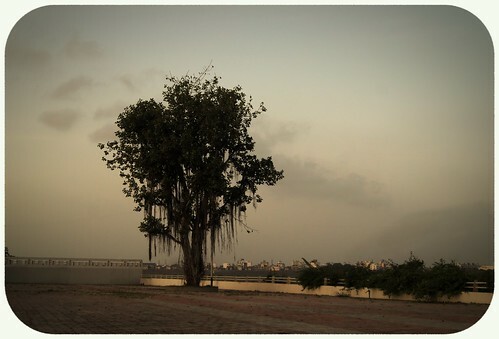 Plan: Saw a tree at the newly opened river front and captured it. Wanted to show it along with the clouds. Story : Took few clicks and this one was from a lower angle where I could frame well along with the clouds. During post processing made the look of an older photo by changing the white balance.